A day after resigning from the BJP, Lok Sabha MP Ram Prasad Sarmah Sunday said he may return to the party and contest the Lok Sabha polls if Prime Minister Narendra Modi "requests" him. 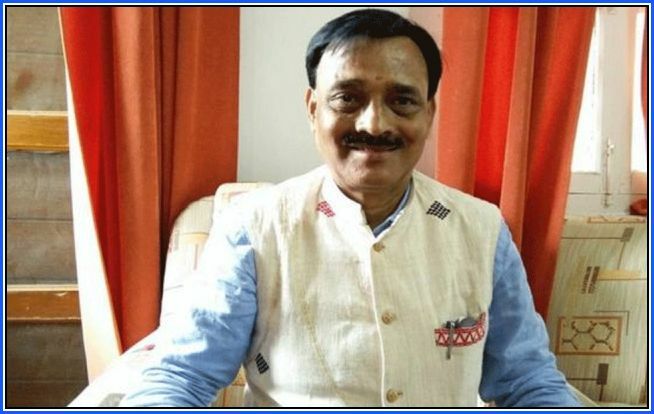 BJP sources said the central leadership is yet to accept Sarmah's resignation and asked the state unit to reconsider the panel of candidates, which did not include the parliamentarian from Tezpur. "After my resignation, parties such as the TMC, the NPP, the Congress and others have contacted me to join. However, I am not interested to join anyone at this moment. I will return to my profession of advocacy," he told reporters. "If Prime Minister Modi and party president Amit Shah request, then I may think about joining again and fight the election from Tezpur," he added. In a Facebook post, Sarmah softened his stand against the BJP, from which he resigned on Saturday as he felt "pained, insulted and neglected", after finding that his name was not included in its Assam unit's panel of candidates for Tezpur. "My friends and many people are asking me whether I would join any other party, if the BJP denies ticket to me. My simple reply is... I will never join any other party whatever the offer. "I am a Swayem Sevak of the RSS since 1976 and RSS is in my blood and breadth (sic), so I cannot follow any other ideology or philosophy, except that of the RSS, in my life and till my death. I swear on my words," he had posted on Facebook. He said he will start his law practice and continue to serve the people of Assam, particularly of Tezpur, with all vigour. Sarmah, who belongs to the Gorkha community, was elected to the Lok Sabha for the first time in 2014 from the Tezpur constituency, which has a sizeable Gorkha population. He defeated his nearest rival from the Congress by over 86,000 votes.